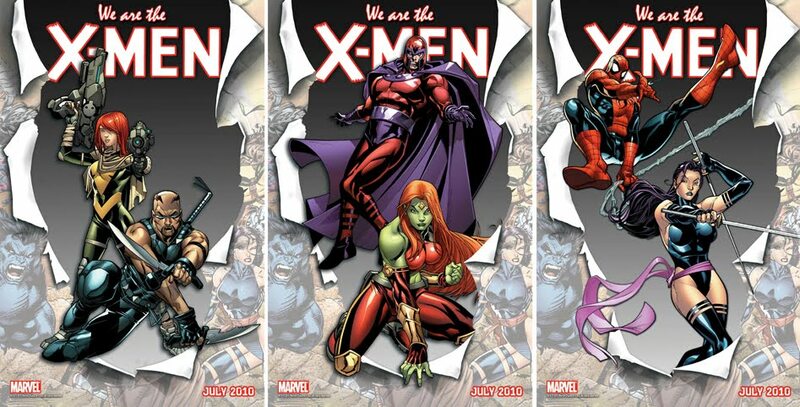 Marvel Comics are the biggest tease in town - and it pays off big time. While others rely on five page previews that don't really showcase much at all, the House of Ideas has mastered the dark art of one shot images that leave you guessing for days. The latest? 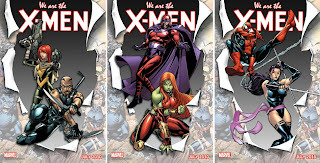 A series of posters suggesting bold new x-faces titled We Are The X-Men. But what surprise stars would make the grade if all bets and boundaries were off? In the name of fun I decided to chuck some together to find out. Okay so the last man on earth, escape artist Yorick Brown and his pet monkey Ampersand, may not be mutants, but with 'endangered species' themes in each book, it was too great a match to pass up. Plus sweet things happen when 'X' meets 'Y' - as Rogue well knows. 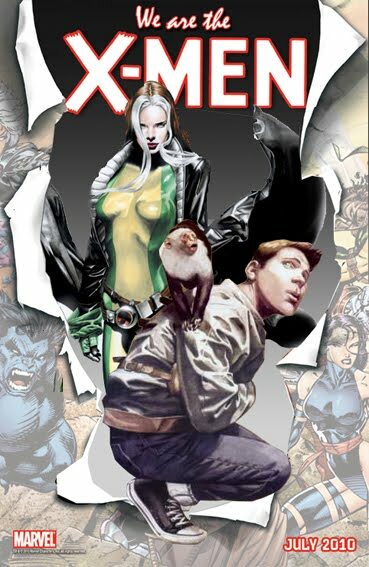 For more on Y: The Last Man click the jump. The mutant power to become a stuffed toy when people with no imagination are around may not set the world on fire, but it will sure inject a bit of humour into the often dark world of the X-Men. 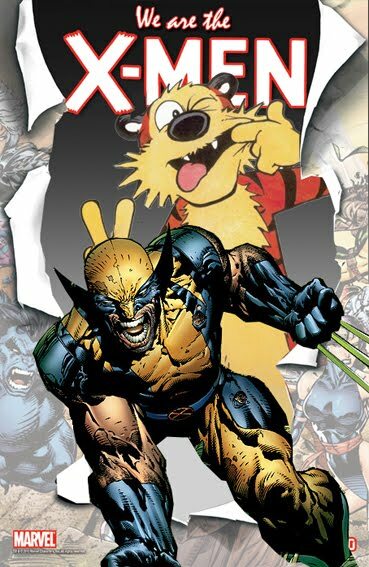 Partner him up with Wolverine, who always ends up fighting in dense forests, sewers and abandoned factories, and watch the best there is at what he does, finally meet his match. For more on Hobbes click the jump. True Obleix fell into a cauldron of magic potion as a baby, so isn't technically a mutant, but think of it! 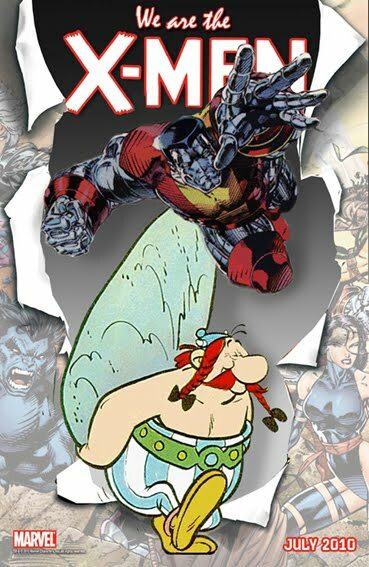 He and Colossus wade through an army of Sentinels, then sit down to a dinner of roast boar and a few ales, only after tying and gagging both the Bard, Cacofonix and Banshee up in a nearby tree! For more on Obelix click the jump. 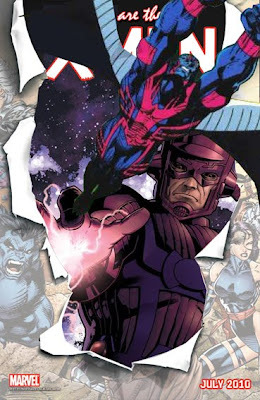 While this is the only one with even a remote chance of happening, with the first 'mutant' of the cosmos on the X-Men, Archangel would be caught between Galactus and Apocalypse, as both seek to claim the ultimate herald for themselves. 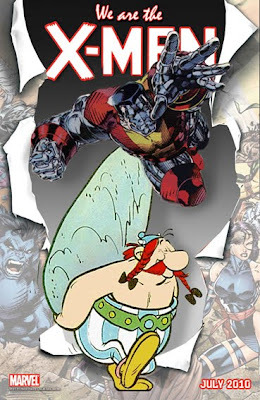 Sure the big guys destroyed entire planets, but hey what X-Man hasn't flipped out once or twice? Parodies aside, for those of you wanting Marvel's actual teasers, feast your eyes on the Blade, She-Hulk, Spider-Man combos below. Those covers you made are AWESOME! Thanks Jonny - they were pretty fun to do too! Oh, Wolverine and Hobbes - that's to die for! Thanks Robert - that was one of my favourites too!